INTBAU’s 33 national Chapters give the charity its global structure. Our Chapters initiate programmes that respond to their local contexts, and that champion the essential role of tradition in the built environment. 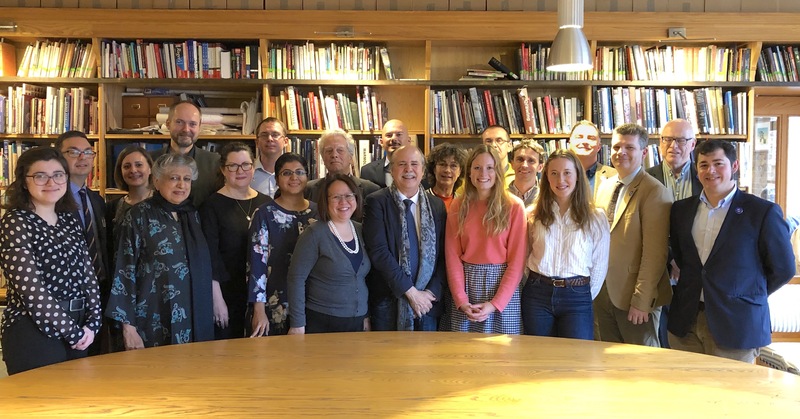 "The INTBAU College of Chapters meets regularly and discusses the future projects of the charity." The foundation of the INTBAU College of Chapters (ICC) was the result of the rapid expansion of INTBAU and the growing number of projects initiated by national Chapters. INTBAU Pakistan; INTBAU Turkey, INTBAU Sweden, INTBAU Finland, INTBAU Malaysia. The Management Team consists of Michael Mehaffy (USA, Chair), Robert Adam (UK, Deputy Chair), Tomasz Jelenski (Poland, Secretary) and Audun Engh (Norway, Secretary). The INTBAU College of Chapters meets at least once a year, and discusses the future projects of the charity. The 2015 annual meeting took place in Havana, Cuba on 17 November, with the 2016 meeting taking place exactly a year later in London alongside the INTBAU World Congress. In 2017 the ICC meeting took place alongside the INTBAU annual event in Milan. In 2018 the ICC meeting took place in London alongside the INTBAU World Congress. To learn more about our Chapters or to contact a specific member of the College of Chapters, please refer to the Chapter pages below.